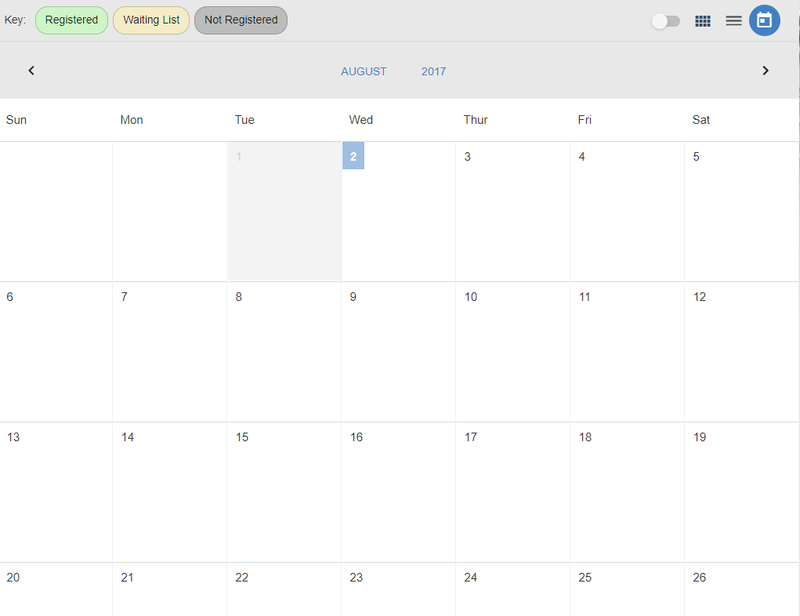 We now have a calendar view for all classroom and webinar sessions, which shows a student what is upcoming and what they are registered for. There is a key at the top — Green: Registered; Yellow: Waiting List; Gray: Not Registered. Students can also filter this to see only the sessions they are registered for by using the toggle at the top-right of the calendar. They can also switch back to a list or icon view.